The 'Natural Perfume Creation' workshop is a natural alternative to the 'Introductory Perfume Creation' workshop. 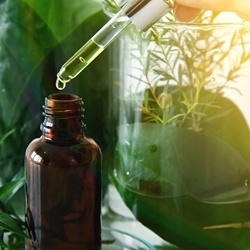 Instead of working with the synthetic ingredients, you have the option (at a slightly higher cost) to work with our natural perfumery ingredients. This workshop still incorporates simplified and approachable instruction, that teaches the theory and basics to the art of natural perfume creation.